Innokin is a well-established provider and the iTaste VTR is one of its most remarkable mods. It is a box mode that is designed to support heavy users, offering solid performance. The VTR Mod features a 3-digit display that makes things easier for users and compared to other options in the iTaste line, this mod is more powerful. The VTR mod has voltage variable from 3 to 6v and wattage variable from 3 to 16 w that allows many users to enjoy the best possible vaping experience. We’ll take a closer look at the iTaste VTR mod by Innokin to help you find out if it is the best option for your needs. The mod has a variable voltage between 3 and 6v, and it provides variable wattage between 3 to 16w. It features short circuit protection, reverse battery protection circuit and resistive battery protection circuit. It also comes with Ohms Meter, RMS (Root Mean Square) Voltage Measurement and Dedicated power switch. There is an eGo Connection Extender, 10 Second Cutoff and LED battery power display. You also get 3-Digit display and the batteries can be replaced. 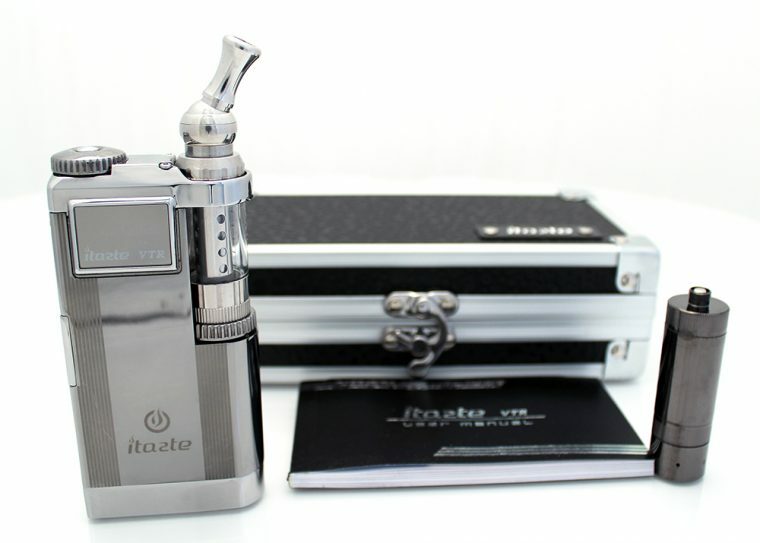 Since the iTaste VTR is a box mod, the instructions are more detailed than with other type of devices. However, the mod is easy to use and you can get it up and running without major hassle. In order to fill it, you need to remove the mouthpirce at the top of the device. Then tilt the iTaste VTR horizontally and unscrew the filling chamber lock located at the back of the cartomizer. Take out the filling chamber partially before pouring e-liquid into the filling chamber. Make sure that you don’t overfill it as this could affect its performance. Place the filling chamber back, fill the chamber lock and mouthpiece and confirm that it is securely installed before using it. To activate the mod, switch the button to ON and set the desired voltage and wattage levels using the control dial at the top of the iTaste VTR. To switch between functions, use the function button and when you have the desired settings, hold down the firing button and draw steadily for 5 to 10 seconds. Let the button go after you finished taking a draw. There are some special features that make the Innokin iTaste VTR Mod a solution worth considering. For instance, the rotational control wheel, gives users greater control over voltage and wattage levels. In addition, there is a extension connector at the top of the mod that lets you use it with standard 510 tanks, as well as with top quality clearomziers that were designed exclusively for this unit. This gives you more flexibility in the way in which you use the device. The battery fitting is designed to be placed accurately. One thing to keep in mind is that in order to take full advantage of the device, it is important that you read the user manual. The 3-digit display will be mainly appreciated by advanced users since the iTaste VTR features a Resistive Load Detector that supports ohms reading and that gives you clear feedback in case you want to get massive vapor production. You can remove the iTaste VTR battery and the device uses select high-drain 18650 batteries. Keep in mind that cheaper, low -quality batteries could affect the performance of your device, so it is better to opt for a reliable brand. It is also very important to get the right charger given that Li-ion batteries can pose some safety risks if they are not handled carefully. Make sure that you use a compatible charger to avoid any issues. The Innokin iTaste VTR Mod features eGo/510 threading, which means that it works with a wide variety of clearomizers, apart from the tank that is included. The iTaste gives users even more options as you can add a 510 adapter at the top of the unit for use with common tans. The Innokin iTaste is simply a very versatile solution in terms of filling options. You will notice that the iTaste VTR manual has a strong focus on safety and the device is also designed with this purpose. The battery offers short circuit protection and reverse protection for the internal electronics, making one of the most stable mods that you can get. The 10 second cutoff ensures that the power is shut down before the device gets too hot. The battery compartment design has vent holes that ensure consistent temperature and the Root Mean Square voltage measurement system is more accurate than the old standard AVG method used by basic models. This reduces the risks of unexpected issues while you are using the device as normal. If you are after a very unique vaping experience, you will love the fact that the Innokin iTaste Mod allows you to personalize the appearance of the device using a wide variety of iTaste skins and wraps. There are many colors and designs to choose from, so you can choose an option that truly suits your style. 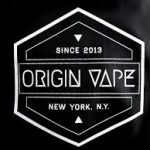 When it comes to the best cartomizers to use with the iTaste VTR, the recommended options are the Nautilius Mini (which offers a 2.0 capacity tank, as well as a new BVC coil design) and the Evod clearomizers from Kanger, which feature bottom dual coil and eGo style. The Evod 2 is one of the most reliable travel tanks available and it works great with the iTaste VTR. Innokin delivers high quality and convenience with the iTaste VTR. 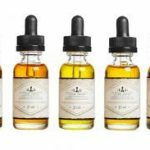 It is an ideal choice for daily use and it will impress you with its amazing vapor production capacity, as well as the intense flavor that it can offer. If you prefer something more subtle, the iTaste VTR is also the right solution since it is a versatile box mod that adjusts to different vaping styles. The VTR Mod is also build to last and it features powerful internal components. Its security features are also worth highlighting.